An outstanding piece of songwriting, and singing, from this Kildare singer. A nylon stringed guitar, a spare stalking bassline, a pleasingly slow shuffle, a torch song, a ballad, a love letter soaring and straining. It comes on reasonably traditional on the face of it...and yet there are barbs. I wanted just a sense of your beating heart when it hurts. Enough to tease and make you doubt and force you to listen again. There’s a hint of the glorious melodrama of Father John Misty, the dark depths of Harry Nilsson and the earnest earned chops of Dublin singer Anderson. All held together by Hynes’ persuasive croon. Hell there’s even a keychange and banks of backing vocal oohs. A sublime debut album of ghostly folk songs capped off with the most extraordinary vocal harmonies from this Bristol band. It’s commonplace to refer to striking vocals and in fairness nothing helps a song to stand out more than a striking voice. The Nightjar certainly have that in lead singer Mo Kirby, but they also have Sarah Ricketts on back up (and bass) and the pair combine in a way that is startling to say the least. Look no further than the first two singles, ‘All objects will cease’ and ‘Warbrobe’. The harmonies chosen by Ricketts are at arms length from the standard seconds or thirds. 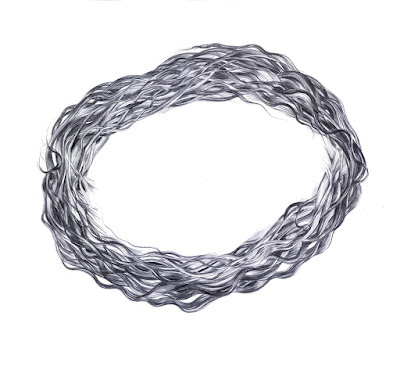 They suggest a medieval or even more ancient connection, a dredging of the history of the species and the planet (there is a distinct historical feel to the album as a whole). The unexpected quality of the harmonies also underscores the slightly supernatural, post apocalyptic themes of the songs in ingenious fashion. They act like a shadow or a spirit slightly outside of the music. Invigorating collection of folk treatments of songs either featured or referenced in the plays of William Shakespeare, an album put together to mark the Shakespeare Jubilee in 2016. The variety of shades over the course of the set is impressive; the ominous vocal drone of Dead Rat Orchestra singing ‘Bonnie Sweet Robin is to the greenwood gone’; the plaintiff vocal canons of Stornoway on ‘Eibhlín a riún’; the wonderful courtly atmosphere of ‘Caleno custure me’ as arranged by Alasdair Roberts & Gordon Ferries; Thomas Truax putting ‘Greensleeves’ through his particular surrealist vision, all chiming music boxes, whirrs and scratches; the primal drone and irrepressible vocal lilt of Kirsty Law. Sweet sweet music for Shakespeare fans and everyone else too. A string of great female singers and musicians on the show this week. Camille, making a fountain of milk sound like the lightest, breeziest, most intriguing thing in the world and not a bit sticky and messy. Love those banks of backing vocals too. New music from Jane Weaver, gorgeous kosmische with a dreamy melody and a raft of vintage synths. Weyes Blood, who as we all know is magnificent; Laetitia Sadier Source Ensemble sounding breezy and Brazilian and uplifting as ever amidst the chaos. Both of those women playing Ireland soon. And some classic library music from Stringtronics, taken from the 1st Connectors compilation (pic) by Barry 7 of Add N to (X). What is more thrilling than a well crafted piece of songwriting? 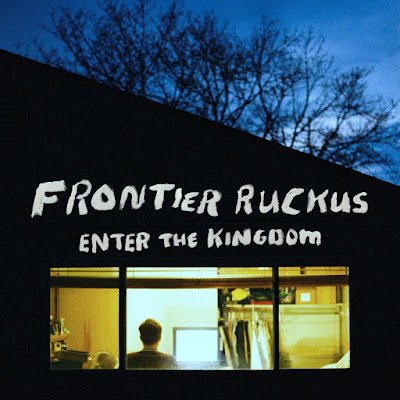 Frontier Ruckus are a band from Detroit who make sublime teasing guitar pop, a kind that portrays the current twenty something generation mercilessly but still with a degree of affection. On the up on the face of it but holding on to a melancholy undercurrent that drags it back, some vague feeling of being lost. Look no further than the wonderful ‘Our flowers are still burning’, a twisting turning puzzle of a lyric that uses sprightly acoustic guitar and banjo as a decoy, a thin disguise for the sad streak running through a life. The opening line should have you on its hook in seconds. New releases this week from Dublin band Percolator (pic) with a lovely scratchy but somehow understated brand of shoegaze. They play Coughlan's in Cork at the end of April. Also Snapped Ankles, punktronica they're calling it, all I know is it's got thundering bass and distorted vocals and is a great thing altogether. Mick Harvey still wowing with the Serge Gainsbourg interpretations/translations, this time in duet with the wonderful Sophia Brous, more greatness. More thunderous drumming this time from Huddersfield's The Scaramanga Six, two drummers apparently and a wonderful anthemic vocal refrain. Plus Barry McCormack, playing The Workman's Club in Dublin soon, bringing great sturdy songwriting into folk tunes with a motorik pulse. From an intense and chilling piece of filmmaking, this soundtrack by Mica Levi is a beautiful low key accompaniment. In particular this track which features an ingenious contrast between the gravity and density of the strings - long and sombre - and the weightlessness of the flute part, the levity even. The subsequent wrongfooting effect places your emotions in line with your reaction to the film’s main character, caught between admiration at her fortitude, sympathy at her terrible plight (in the spotlight covered in her husband’s blood) and some kind of distaste at her apparent vanity. A masterful piece of work. A bunch of great British music on the show this week, in two main camps. 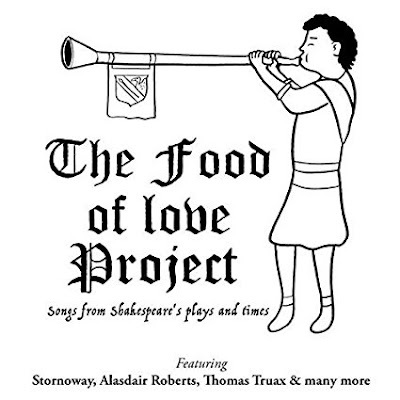 Alasdair Roberts & Gordon Ferries, from the wonderful Shakespeare songs Food of Love project, getting courtly. Warm Digits feat. Field Music on vocals, banging electro. And Francois & the Atlas Mountains, slippery woozy psych pop from France. A raft of instrumental music this week for some reason, just plenty of it about I suppose, and plenty of great stuff. Mica Levi, wonderful wrongfooting soundtrack from the film Jackie. We also had Cormac O Caoimh whose new album plies more of that gorgeous Prefab Sprout territory. Diagrams, beautiful folk music with propulsive beats. And Basil Kirchin exploring the limits of library music, brilliantly. Aldous Harding has been a fave of the show for a couple of years. Now she's with 4AD/Flying Nun so expect to hear a lot more from her soon, new music from her starting this week's show. Valerie June is an American singer who manages to combine something of the exotic air of Joanna Newsom with the grit of Lucinda Williams, an alluring mix. More from The Nightjar,a Bristol band with a great mix of haunting folk, arresting harmonies and field recordings. John Hynes is an Irish singer with a voice you'll immediately love, shades of Father John Misty or Harry Nilsson. Stornoway from a fascinating compilation of songs from Shakespeare's plays and times. And some more Basil Kirchin, some wonderful early 70s English horror film music.